What is the Life Care Plus Program? Protection for the Life of Your New Toyota! First and foremost, Toyota’s New Car Warranty covers any repair to your new Toyota if a covered component fails. 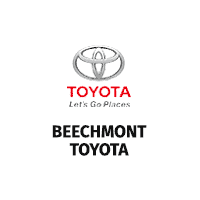 But additionally, customers who purchase or lease their new Toyota from Beechmont Toyota also receive an exclusive benefit that we call Life Care Plus Protection. How Does LifeCare Plus Work? Provided that you follow the Toyota factory-recommended maintenance schedule for your regularly scheduled maintenance, AND have that scheduled maintenance completed at Beechmont Toyota, Life Care Plus Protection will repair or replace – at no cost to you – any covered part that malfunctions or fails (subject to some exceptions) that are NOT covered by the Manufacturer’s New Car Warranty (or any Extended Warranty and/or Service Contract) for as long as you own the vehicle! *Certain restrictions apply. Please see dealer for details. Available only on new vehicles.